Fast track construction works moving ahead satisfactorily - Integration Through Media ....! Tirtha Bhattarai, KATHMANDU: The construction of the fast track linking Kathmandu to Tarai has been found satisfactory. The Nepal Army is tasked to complete the construction of the fast track, a national pride project. Such observation was made by the Development and Technology Committee of the House of Representatives which made the field visit on the fast track on Friday. Committee president Kalyani Kumari Khadka headed the inspection team. The field inspection was conducted by the Committee members and former Prime Ministers Jhalanath Khanal and Madhav Kumar Nepal, project chief of Nepal Army, ministry representatives and journalists. The team reached Nijgadh from Kathmandu by helicopter and went to Mohori from zero kilo of Nijgadh via jeep. Major Rajesh Kumar Dev informed the team about the work progress. Even the locals were inquired about the construction of the express way. A local Rabiraj Dangal said they were happy and alert if the construction would be delayed. He suggested the project that it created employment to locals and use of local resources as well. Chief of another NA camp at Rajdamar of Bakaiya rural municipality in Makwanpur, Colonel Purushottam Karki said under the camp, filling works except bridge on an area of eight kilometer are going in a linear way. Works related to the construction of a culvert are expected to complete by the end of December and the construction of a bridge will start next year. 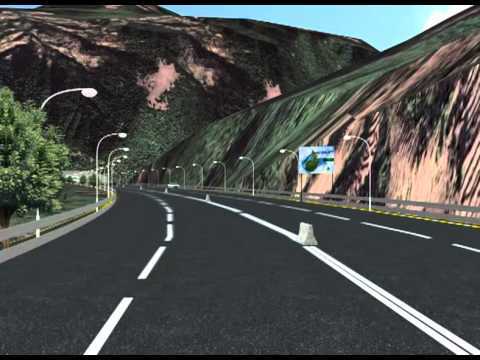 The construction of a tunnel has been proposed at Dablue cliff to protect the Kanti Highway. Ram Kumar Thing and Rajan Dangal, locals of Rajdamar said, the track will meet the Dharan-Chatara and Madan Bhandari Highway too and the location fixed for an ‘interchange’ should remain unchanged as the land acquisition for so has been already done. Chief technical major Arbind Shrestha of NA another camp at Budune said the camp was established on August 3, 2017 and works are going on accordingly.